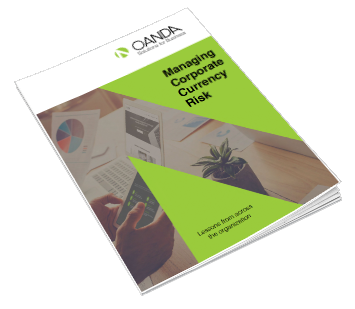 Amid heightened volatility in global currency markets, companies involved in multi-currency transactions need to be extremely diligent about how they manage their exchange rate exposure. A sudden, unexpected market swing can have a major hit on a corporate balance sheet. Capable FX management involves much more than simply hedging against risk; in order to take the appropriate course of action, all levels of the organization need to be informed and involved—from CEOs and CFOs to Analysts and Accountants. Exchange rate volatility, which was once a passing concern, is now one of the biggest overall threats to growth prospects. While chief execs appear removed from managing FX risk, their partnership with the CFO is crucial and they can play a significant role by fostering the best environment from the top down. This can be achieved by accepting and embracing multi-currency risk in long-term planning, giving the green light to new investment initiatives, and ultimately supporting the CFO with strategic feedback to market events. When it comes to currency volatility, the CFO is the first port of call. The CFO’s role is to delegate FX risk strategies to corporate treasury executives, but of course, in today’s volatility, creating a risk framework is no easy task. CFO’s need to focus on the foundations of their business’s FX risk containment strategy. Fundamentally, a CFO should prioritize on improving how FX rates are sourced and how risk is assessed, in order to empower the treasury team to make the right decisions. Treasury specialists are at the frontline of currency volatility. What was once a fairly straightforward job function has been turned on its head and with the CEO and CFO keeping a keen eye on it, specialists’ need to ensure that their actions are calculated. In order to do this, Treasury specialists should restrain from taking large risks reactively in the face of big currency swings. In today’s environment, small events can have disproportionate consequences and Treasury teams need to prepare for this from a payments and hedging perspective. Forecasting cash flows is the business process where spreadsheets and other outdated reporting methods still reign supreme. This alone makes forecasting cash flow challenging, but market volatility has exacerbated the issue. As FX rates fluctuate in real time, analysts are hard pressed to keep up. However, by introducing modern tools, forecasters can strengthen their FX best practices. For an analyst forecasting trends, automation is what they care about most. This is why ease of integration with ERP systems and other pieces of software becomes ultra-important. Corporate accountants now face a number of challenges from multi-currency volatility, all of which is applying pressure on standard accounting practices. With more local entities to handle and a greater pool of currencies, accountants need to ensure that how they source FX rates are consolidated and clear. In order to accomplish this, accountants require accuracy and consistency of dates across the organization, as well as access to historical data in order to make more informed decisions. © 2019 OANDA Corporation. All rights reserved. All Registered Trade Marks used in this set of material, whether marked as Trade Marks or not marked, are declared to belong to their respective owner(s). OANDA Corporation owns Trade Marks of all its "FX" products. Sign up here for current FX market news and insights.